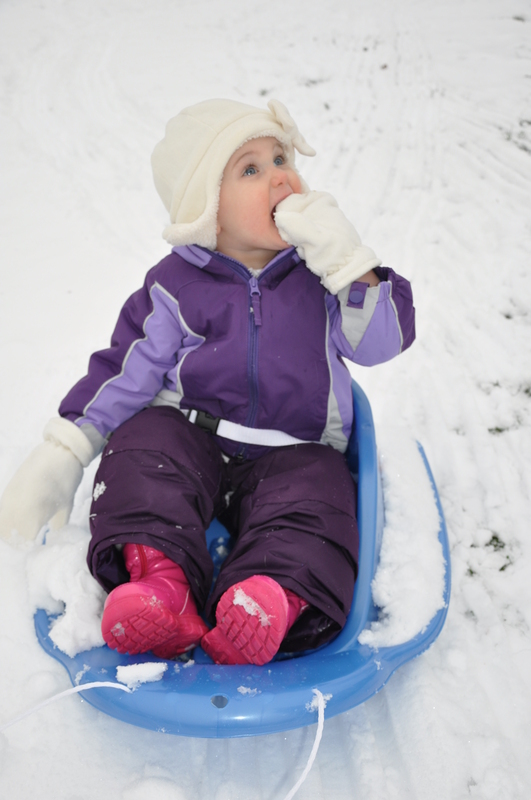 Before the Polar Vortex blanketed much of the country last week, we took Bridget outside to play in the snow for the first time. It was a balmy 36 degrees and we had the remnants of the New Year’s snow storm left to play in. 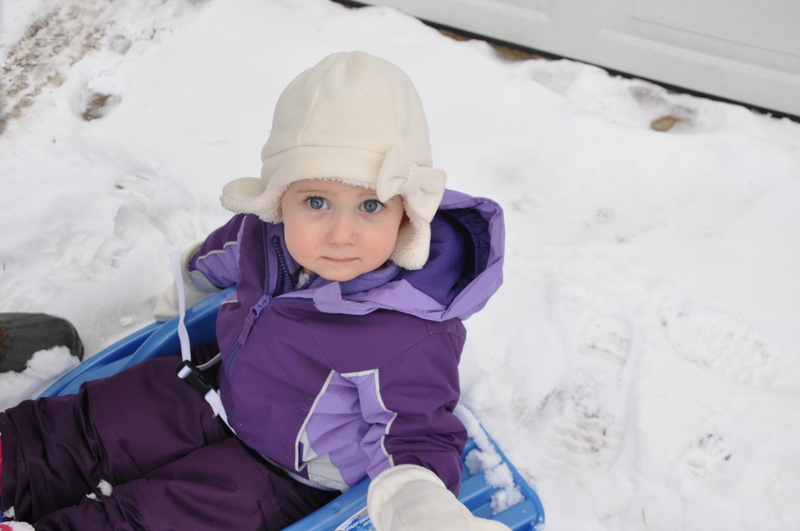 We bundled her up in multiple layers (maybe too many), and pulled her around the yard. She loved every minute of it, and snacked on a few snow balls along the way despite our efforts. My mom, Grams, even joined in the fun. Apparently grandparent-hood does crazy things to you. 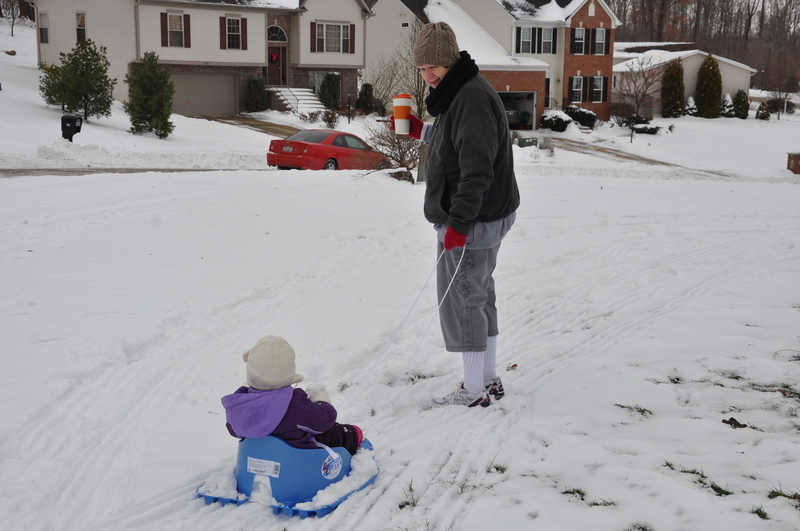 Yes, you are seeing this correctly: My mom in the snow, in capris, with my hand-me-down winter clothes because the woman doesn’t own a single winter clothing item. She’s crazy, I know. But we love her, and so does Bridget. 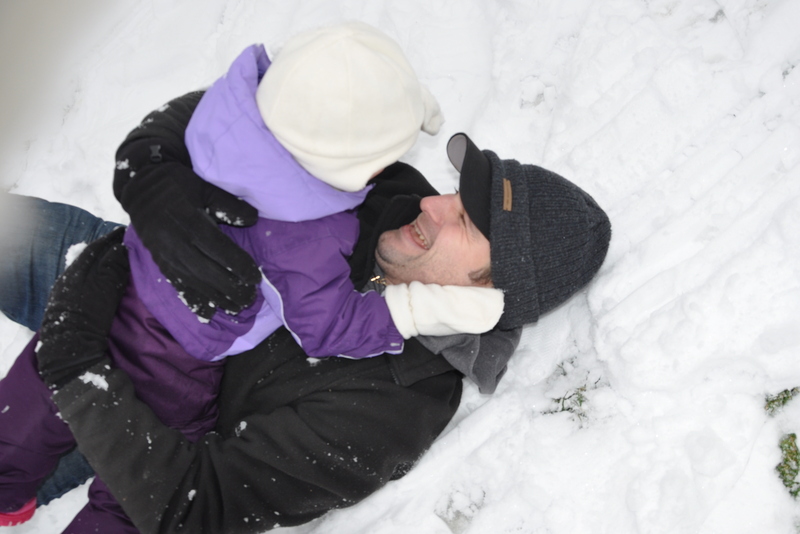 Here’s to warmer weather, but maybe a few more snowfalls so we can enjoy days like this. For our last date, Brian and I went to see The Secret Life of Walter Mitty. I am a sucker for Ben Stiller movies, and it was just the light-hearted, feel good kind of movie I was hoping it would be. Without sharing too many details of the plot, it’s a story about the cover image of the final LIFE magazine, and the journey to find the perfect image. While sifting through the hundreds of photos from 2013 in an attempt to create an album for my sister-in-law for a family photo calendar (sorry, Leslie – I’m still working on that), I came across this photo. 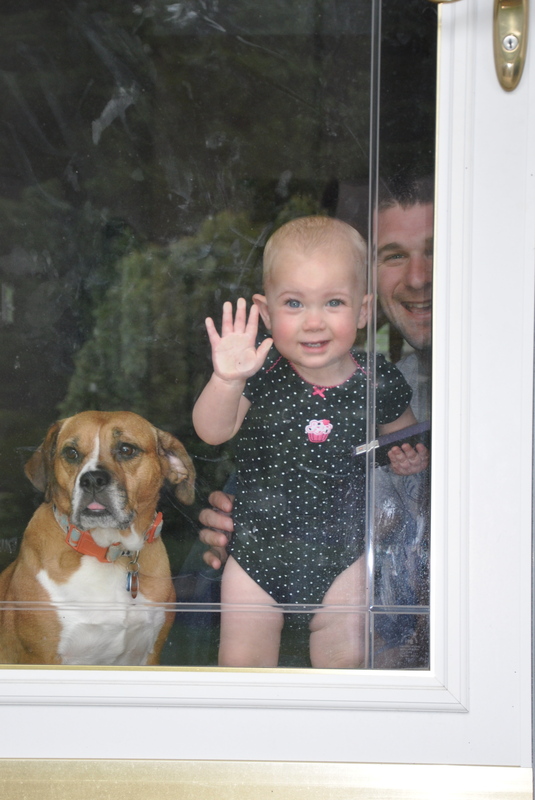 It was taken on May 28, the day before Bridget’s first birthday. I was testing out my camera settings before I took Bridget outside for her first birthday photo shoot, while she watched me from the front door. It wasn’t planned. She wasn’t dressed in her photo best. And it didn’t make the “album” of my amateur photo shoot. But it makes me smile from ear to ear, while the Lonestar lyrics of “My Front Porch Looking In”play in my head. If my 2013 could be summed up as a magazine cover, this would be it. The view of big B, little B, and Josie Bear smiling my way.